Words by Phil J; photos by David. 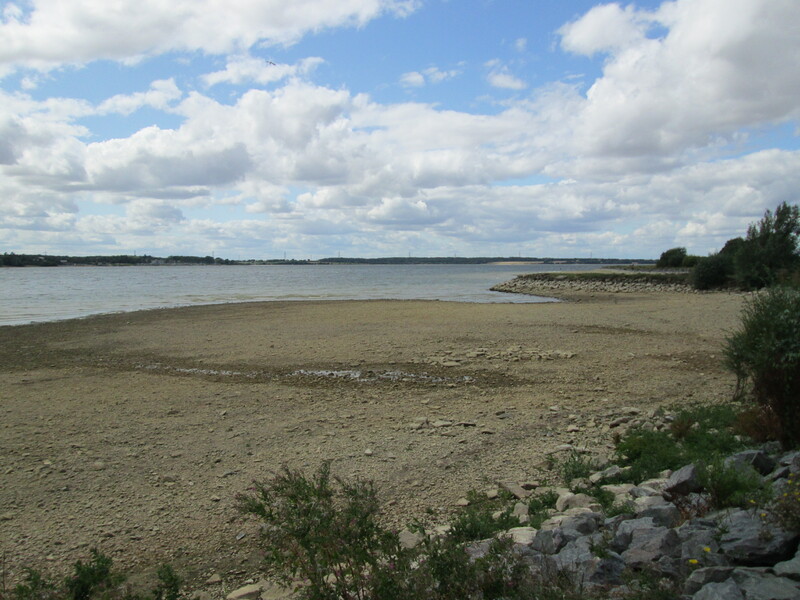 Nine riders met outside the Canoe Centre under gloomy skies for a slightly longer ride than normal to the picturesque location of Grafham Water over the border in Cambridgeshire. Right on cue the heavens opened and all riders donned wet weather gear somewhat earlier than we expected to. We therefore departed a little later than scheduled but fortunately the rain subsided pretty quickly but it had left plenty of surface water around making conditions tricky for some of the group especially down the fast decent at Cogenhoe early on. Nonetheless decent pace was made towards the first cafe stop at Thurleigh with the suspicion falling on a strong tailwind that might have its revenge on the return leg. All riders came in out of the cold at Thurleigh to warm up with hot drinks and snacks. Phil L was riding well and after refuelling decided – understandably – to play it safe and return to Northampton accompanied by Eleanor. Well done, Phil! As we left Thurleigh it seemed like a completely different day as the sun came out and skies cleared to lift the mood of the remaining cyclists. All pressed on towards Grafham and enjoyed plenty of fast riding through some beautiful villages along the way. The odd mechanical gave us a chance to admire some splendid scenery. As the destination came into view it was decided to use the main café rather than the boating club giving us an extra couple of miles to reach lunch. We actually rode round some of the cycle path around the reservoir before deciding to get back on the road to find the regular entrance. 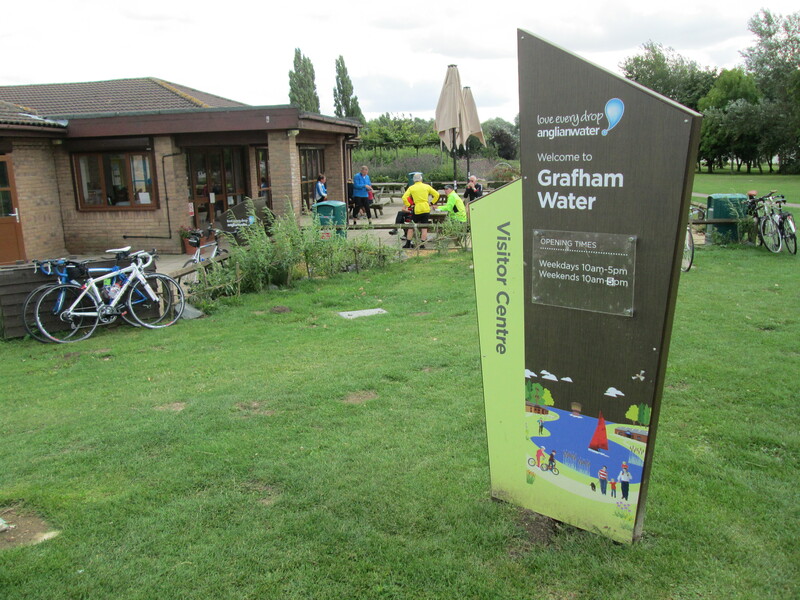 A busy café greeted us – full of Sustrans rangers and other visitors to the reservoir. Talk turned to the strength of the wind and also how Milton had managed to polish off two oversized pieces of cake in one day with one more stop to come! Phone calls were made by some of the group to other halves to soften the blow of an anticipated late return. We reluctantly left the lovely location at the side of the water and headed out on the cycle route across the dam and eventually onto the main road through Perry and beyond. Our suspicions about the wind were immediately noticeable as all the riders were pounded relentlessly across the open terrain. Turns in direction seemed to have no effect as the wind continued to pay us back for the journey out. Mile after mile came stronger and stronger gusts especially on exposed locations. Wind turbines that we passed were a clear indicator of what we were riding through. 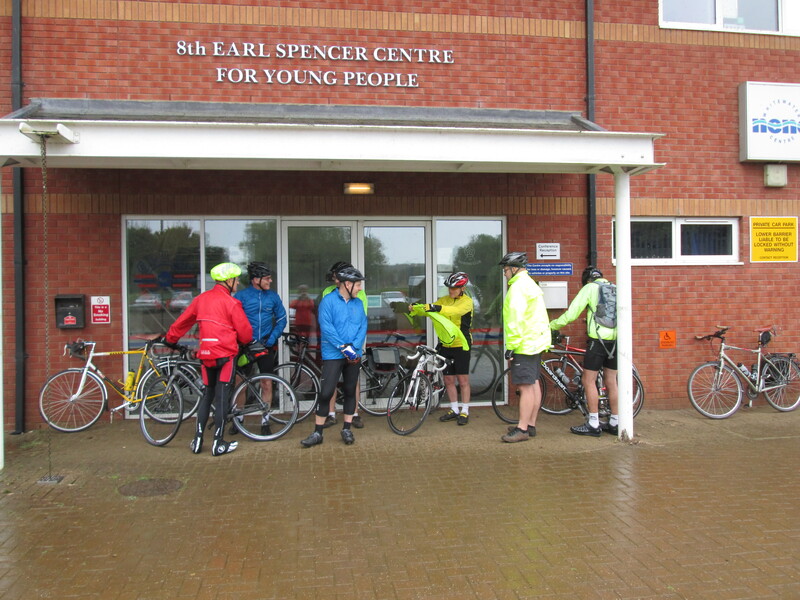 There was very little respite until the final welcoming stop at Poddington where we all enjoyed a well earned break before the final push home. The hill at Cogenhoe proved to be the only real obstacle left. When all the team reached the top we regrouped and talked tactics about the routes each of us would take home. 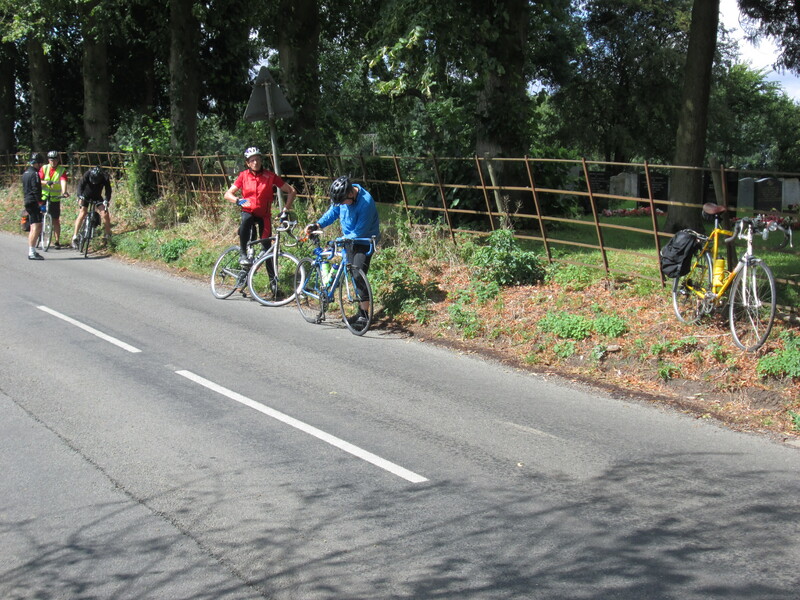 We split on the cycle paths alongside the A45 leaving just Iain D and Phil J to return to the Canoe Centre and to a much brighter setting than we had seen that morning. A longer and tougher ride than I think any of us had expected. Well done all! This entry was posted in CTC Northampton, cycling and tagged Canoe Centre, Cogenhoe, Grafham Water, Perry, Poddington, Thurleigh by ianmac55. Bookmark the permalink.